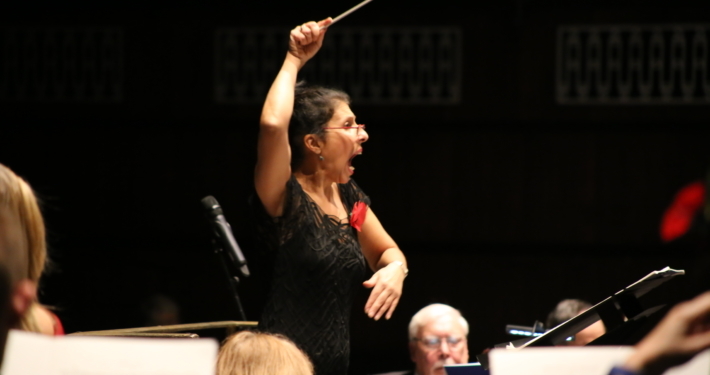 Robyn Sevastos took over from Rebecca Miller as Music Director with the autumn 2019 concert that opened the 115th season. Robyn graduated from Melbourne University with a BMus, with First Class Honours in Performance. She subsequently moved to England to continue her studies, obtained a Postgraduate Diploma in Piano Accompaniment at the Guildhall School of Music and Drama, and a Performance Diploma (ARCM) from the Royal College of Music. She went on to perform extensively as a piano soloist and to coach and accompany a wide range of singers and instrumentalists both in the UK and abroad. 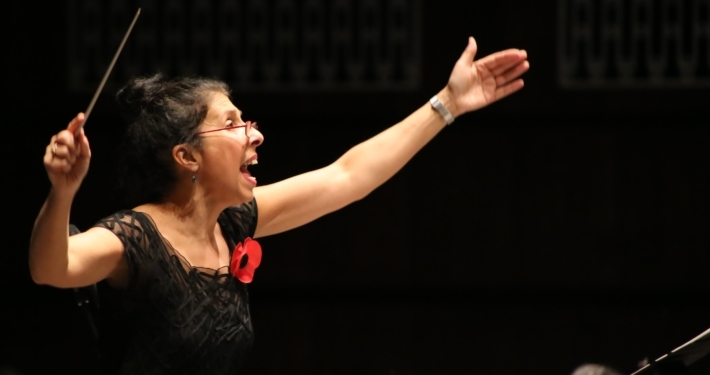 Robyn is currently music director of London Opera Productions, Kentish Opera, the Llantilio Crossenny Festival, Sevenoaks Philharmonic Society, Bromley Philharmonic Choir and is a professor at the Blackheath Conservatoire of Music and the Arts. 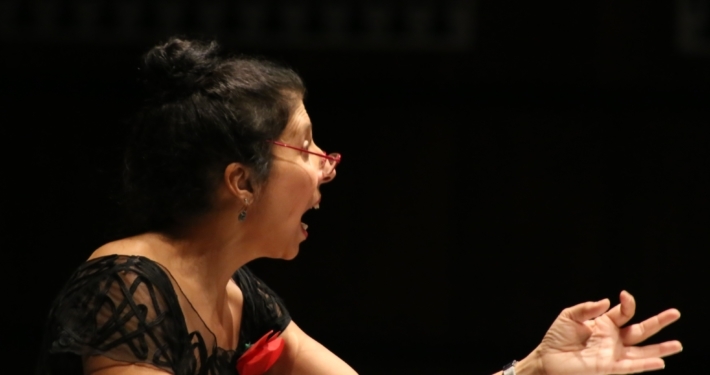 Robyn has conducted a large and diverse selection of choral and operatic works. Her extensive operatic repertoire includes operas by Bizet, Donizetti, Humperdinck, Mozart, Puccini, Rossini, Strauss, Sullivan and Verdi. She has also conducted many of the major choral works and countless other smaller gems. Some highlights include performances of Verdi’s Requiem, Orff’s Carmina Burana at the Fairfield Halls and Bach’s St Matthew Passion at St Clement Danes church on The Strand in London. Robyn’s orchestral programmes have featured internationally renowned artists and she has performed at many of the leading London concert venues including the Royal Albert Hall, the Barbican and the O2 Arena. She has also performed at Kensington Palace and at Sandringham for HRH The Prince of Wales.